Transfer scene from C4D to Max with 2 clicks! 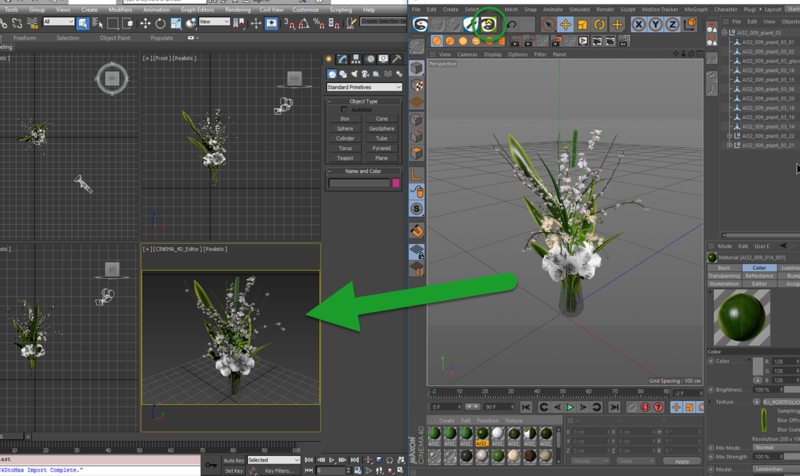 Automatic transfer from C4D Vray to Vray For 3DsMax "similar" materials and settings. Use the powerfull and easy C4D tools, multiple object symmetry, mograph, bodypaint, arch viz and character tools, etc and instant transfer the scene to 3DsMax with 2 clicks! 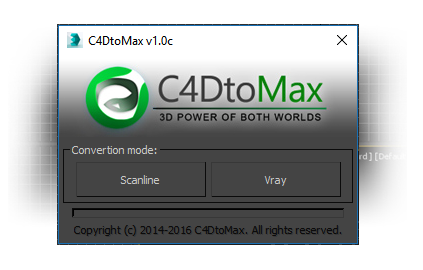 C4DtoMax is a plugin to transfer C4D current scene to 3DsMax with 2 clicks, solving common problems between import/export problems automatically, to get the best results in the fastest way and with the less effort possible. Transfer Scene or Models even if they have vray materials, they'll be converted to Max scanline or Vray materials!